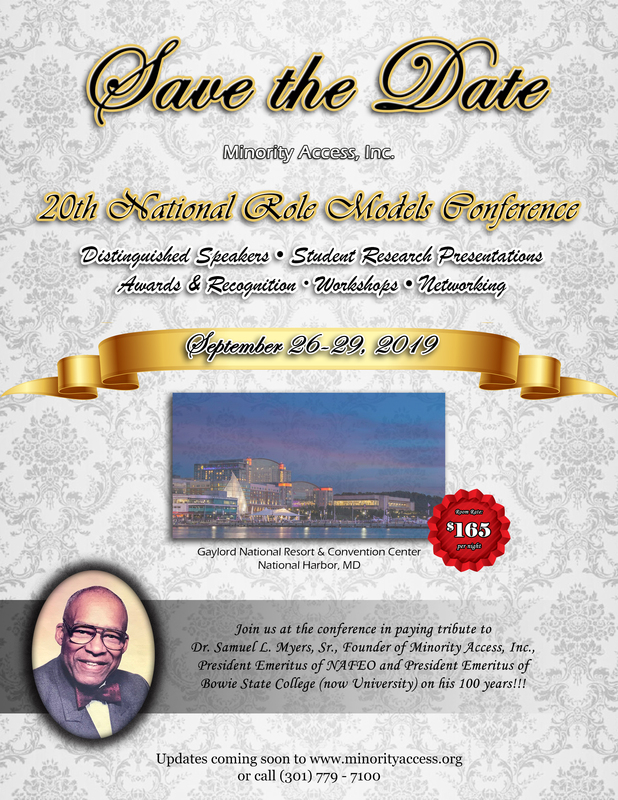 Tribute to Dr. Samuel L.
Minority Access' National Role Models Conference, which assembles high achieving innovators, recruiters, researchers, faculty, administrators, students, mentors and alumni, as well as institutions that have been exemplary in producing minority researchers, was initiated in 2000 and was immediately a spectacular success. Serendipitously, the conferences have served the function of directly linking federal agencies and corporations with institutions that they support or desire to support. The linkages have been mutually beneficial. Over 450 colleges, universities and other institutions have been represented at the conferences. Now in its Twentieth year, the Minority Access National Role Models Conference is established as one of the most prestigious conferences of its kind.